When it comes to the world of watches, uniquity is always a desirable trait. Well, exactly that can be said for the Puredial Square Legacy Watch Collection. Inspired by designs from the 1860’s and modernly revolutionized. These watches are the perfect amalgamation of old school style with modern tech. 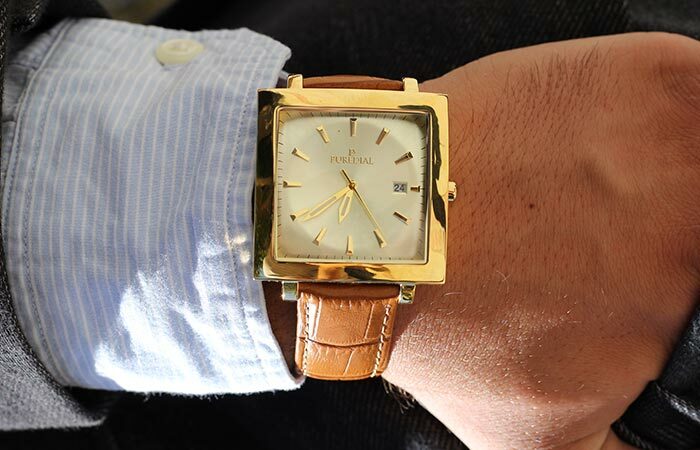 Puredial Watches is a newly founded company located in Los Angeles. The founder is Ziv Nissimov, a third generation watchmaker. He founded the company on the simple values of delivering high-quality, unique and affordable timepieces. Puredial certainly did achieve their mark. The dial of the Puredial Square Legacy features a unique curve that is custom made. 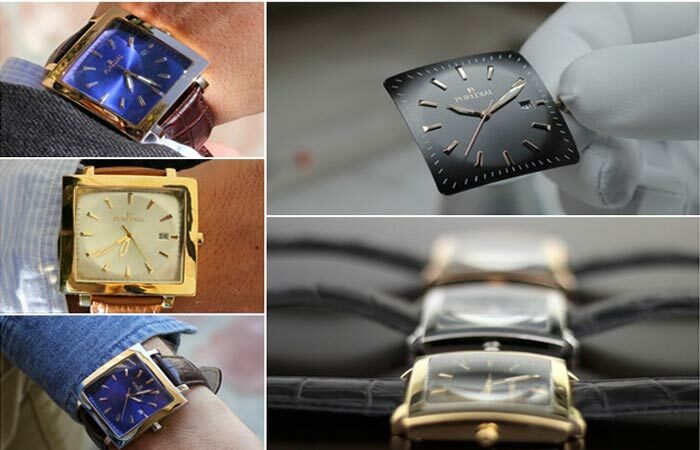 The Square Legacy is a collection of 9 different watch color combinations. They draw their style from the first wrist watches that were created in the 1860’s. It is also a metaphor for Ziv’s grandfather whom first initiated the family craft. Each of the watches in the collection feature a unique curved dial square design that is just as unique as the company. Don’t miss out on the introduction video below. The defining features of these timepieces are the premium 316L stainless steel housing, the Super-Luminova hands, the Sapphire coated glass, a date indicator, and, of course, the one of a kind curved dial. Furthermore, these watches never miss a second with their Japanese Miyota Quartz Movement. The Puredial Square Legacy Collection features a selection of 9 different color combinations that are bound to suit your taste and style. The straps have been hand stitched and are constructed out of genuine leather. You can also choose between Black, Tan, Red Brown, and Brown strap colors. The buckles are available in Rose Gold, Gold and Silver, and they have all been crafted from stainless steel. All of the watches in the Puredial Square Legacy Collection are meticulously crafted to bring you excellent quality at an affordable price. 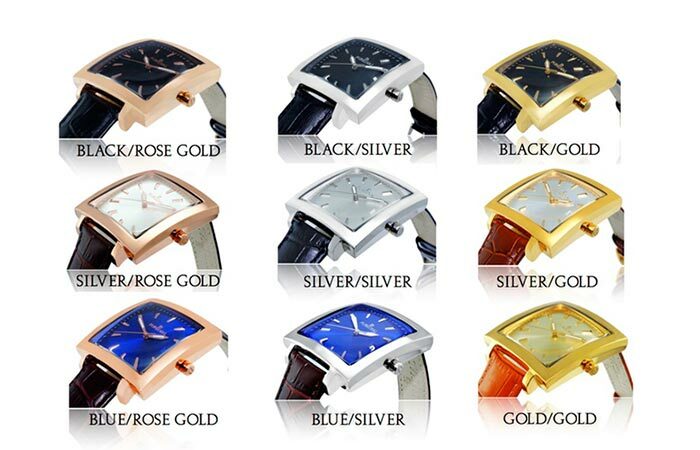 The dial itself can also be purchased in a variety of colors and styles which include silver and rose gold, blue and silver, gold and gold, and 6 others. These are bound to suit your particular style and wardrobe for the day. In addition to all these features, Puredial is so confident in the quality of their watches that they are even providing a limited 5-year warranty. 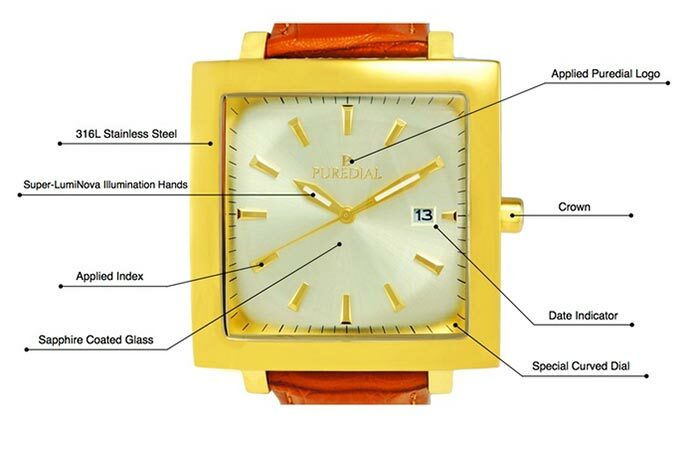 Puredial is so confident in their Square Legacy Watch collection that they are providing you with a 5 year warranty! Needless to say, it is an exceptionally stylish watch. So, go check them out on Kickstarter and get yourself a bargain deal on a Puredial Square Legacy Watch!